At The Wooden Wagon, they are all about the simple, the natural, the safe, and most of all the fun. 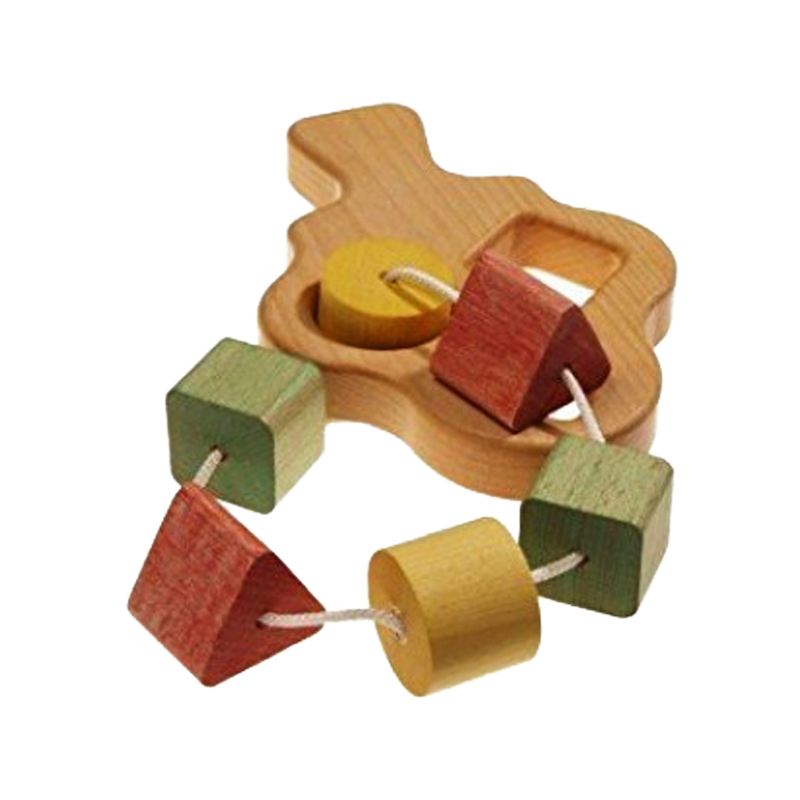 Founded by a stay-at-home dad in 2003, to this day they continue to be a family business where they strive to create the highest quality natural toys. They pay close attention to the play value, safety, workmanship, materials used and timelessness of each of item they produce. Using FSC wood, organic cotton, wool or fabric, non-toxic stains, paints and finishes, they oversee every step of production to guarantee a beautiful, high-quality, safe and environmentally conscious product for families around the world. Simply put: they offer nothing that they wouldn’t want in their own home. The Wooden Wagon Shape-n-Tree has colorful wooden blocks on a cord that can be pushed through the tree to sharpen hand-eye coordination and build confidence.